50th Anniversary Celebration a Success! The Club’s 50th Anniversary dinner celebration was held last Saturday evening to a crowd of about 76 people — members of the club as well as visiting club members and dignitaries at the State and International levels. A slide show of past memories played through the cocktail hour which was followed by a delicious dinner prepared by Curt’s Caterers. 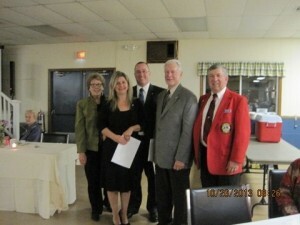 After the dinner three new members were inducted into the club: Michelle and Christopher Shipp and John Menken. Mike and Kate Lancor were their sponsors. 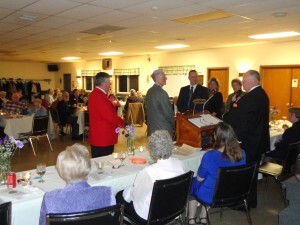 Pins for continuubg membership in the Moultonborough Club were awarded for 5, 10, 15, 20 and 40 years. 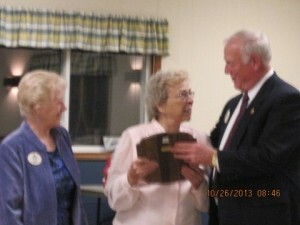 Anne Forts received the Granite State Fellowship Award. 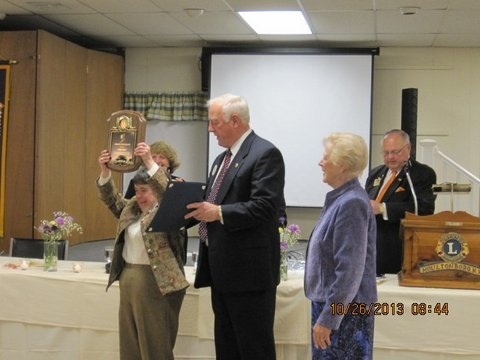 Pat Strickland received a Progressive (for an individual who has received this honor at least once in the past) Granite State Fellowship Award. The second highest award in New Hampshire Lionism is the Granite State Fellowship Award. 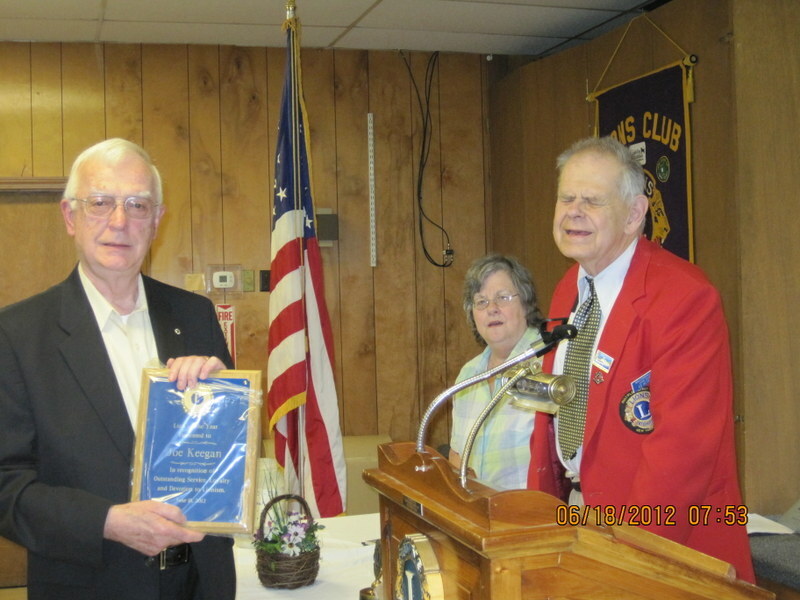 Last June (2012) this award was presented to Joseph Keegan for “excellent service to NH citizens and the NH Sight and Hearing Foundation.